Using simple punctuation to format your text, iA Writer lets you keep your hands on the keyboard so you can just write. 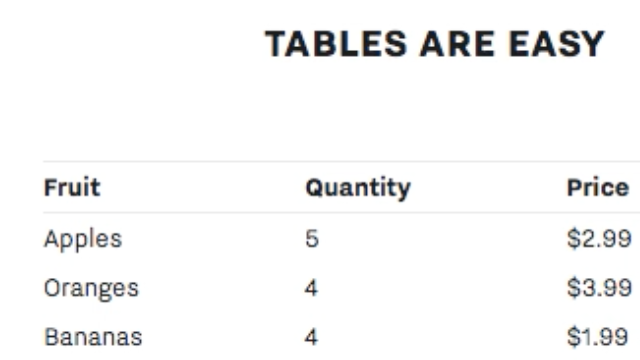 Tables in Markdown? Are you kidding? We are dead serious. iA Writer 3.1.3 managed to simplify one of the harder things in Markdown. Adding a markdown table doesn’t require major hacker skills anymore. 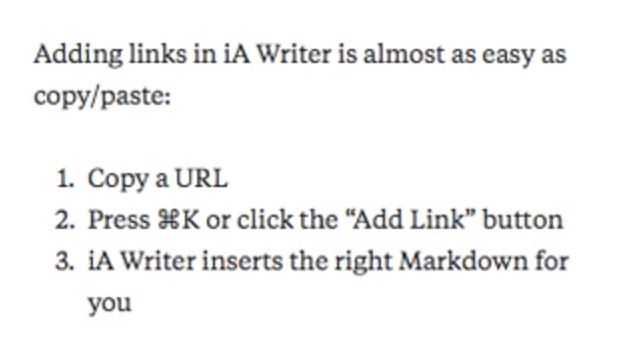 Adding links in iA Writer is almost as easy as copy paste. I upgraded to the new iA Writer and now I don’t see my documents from iA Writer Classic. Why? I just bought iA Writer for iPad. How do I use it? The App Store asks me to purchase iA Writer, but I bought it before. What if iCloud doesn’t work? Can I change my text size? How do I make a new folder in the Library on iPad? We take a break on the weekends, but during weekdays we aim to reply within 1-2 business days. If you are experiencing a problem that our support section doesn’t solve, please note that the more detailed your description the quicker and better we can answer. Please send issue inquiries to writer+support@ia.net If you want to push for a new feature, please email us at writer+featurerequest@ia.net; leaving a one star comment on the App Store asking for a feature has never helped anyone. If you want to support us, please leave a comment on the App Store.